Originally from the Midwest, Andrew joined Windham in 2014 with over 13 years in the accounts receivable management and collections industry. His management style combines client satisfaction with customer care and team building for a strong call center staff. 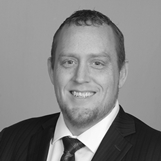 Andrew oversees several of Windham’s key clients in our Las Vegas, Nevada office. His diverse account management background allows him to take experiences from the different verticals to present creative solutions to troubleshoot potential issues. Andrew will be one of the dynamic tour leaders on our Wyndham Professionals site tour experience. The tour will dive into Windham's forward-thinking, analytical approach to call center management and how they create programs tailored for their clients and their customers.